The contrast between Europe’s resistance to Uber and America’s warmer reception for the ride-sharing service highlights once again how European regulatory structures, in principle designed to protect consumers, end up protecting entrenched suppliers and stifling innovation. This contrast can also point us to the ways Europe’s governments should amend their rules, encouraging entrepreneurs to develop cutting-edge business models at home rather than being forced to accept innovations only after they have become best practices abroad. 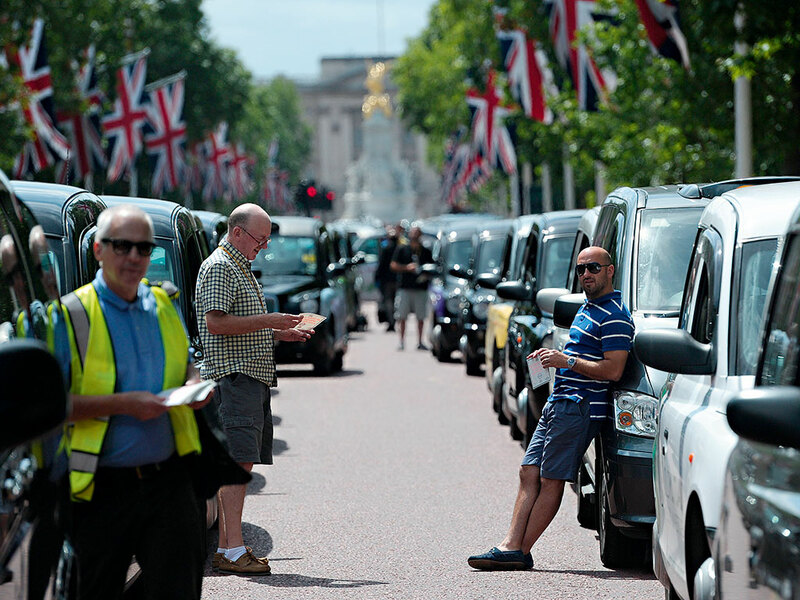 Anti-Uber protests by cab drivers are part of a tradition of established suppliers challenging new technologies that could cost them their jobs. But when, say, the Luddites of the 19th century protested against newly developed machinery by smashing it, the authorities did not intervene to limit new technologies. As a result, the Industrial Revolution led to an increase in living standards around the world. But, by the time supermarkets started to enter the retail sector in the second half of the 20th century, European governments’ approach had changed. Many countries enacted regulations in the early 1970s to protect existing small shops against competition; as a result, the development of more modern distribution systems was delayed. A generation later, these restrictions were lifted in response to consumer pressure. But, as the response to Uber shows, Europe’s governments have not learned their lesson – and the European economy suffers as a result. The problem is that entry into any market depends on the perceived opportunities for profit from new initiatives at a particular point in time. Regulations can delay market entry, but technology cannot be stopped forever; new entrants will eventually break through. However, their business models may no longer be profitable, or may be less profitable than they would have been. Indeed first-mover advantages are common in many industries, owing to economies of scale, or because they lock-in a customer base, or simply as a result of sunk costs. Especially for ‘platform’ markets, where companies exploit earlier investment to ensure entry elsewhere, this means that delays caused by unjustified regulatory restrictions can have a more profound negative effect, preventing potentially successful companies from entering the market. For example, Italy, which liberalised its retail sector only in 1998, has far fewer grocery chains today than France, Germany, and the UK. Indeed, these latter countries’ chains, forged in the fires of free competition at home, now dominate emerging markets, both in Europe and elsewhere. In Italy, the limitations on large stores created market power at home for those few that nonetheless managed to emerge and grow, but left them too weak to expand abroad. In the same way, Europe’s restrictions in the car-service market are preventing the continent’s entrepreneurs from developing services like Uber. Like a supermarket chain, Uber depends on economies of scale to allow its platform to work efficiently. And, like any platform, Uber started small, covering its fixed costs through step-by-step expansion. Now that it has achieved the minimum efficient scale, new entrants cannot easily use competitive pressure to squeeze Uber’s margins. When Uber started in San Francisco in 2009, its market entry was neither challenged nor subjected to a difficult authorisation process. Thus, Uber could test its new business model – based at the time on providing luxury cars – and grow, first in San Francisco and then in other US cities, eventually expanding to other countries (as well as using its platform to push into other services). In Italy, by contrast, even the provision of luxury car services via a smartphone application would have been prohibited. Under Italian law, for-hire car services are strictly defined as those that start from the garage where the car is parked, and they must be booked in advance. Because Uber’s app mimics taxi services, it would have been outlawed; Uber would never have been able even to start developing its platform. And this is true in many other European countries and industries, where the structure of regulations protects suppliers more than consumers, hampering innovation. In the US, innovative market entrants are seldom blocked, and only if overwhelmingly justified by the public interest. That is why Uber (like many other platforms in many other sectors) could grow there and achieve the optimal scale to expand further. If Europe is to prosper, it must ease market entry for innovators, so that platforms will begin to develop indigenously, rather than moving in after they have been perfected elsewhere. We should value the innovation brought by new market entrants more than we value the protection of existing market participants. This can be achieved by adopting an outcome-based regulation aimed at the protection of consumers, not producers. Though in some cases this may mean simply changing the way existing rules are interpreted and applied, very often the regulations themselves will have to be changed. New entrants could still change the competitive structure of mature platform markets – not just taxis, but tourism, consumer credit, and many other services. And if an outcome-based regulation is adopted, innovative entrants may well influence the competitive structure of other platform markets that remain underdeveloped, such as healthcare, real estate, and professional services. In all markets, when innovators can enter easily and are not blocked by unjustified regulations, everyone benefits – eventually even those whose occupations are disrupted or displaced. Just ask any professional, university-educated descendant of a 19th-century textile artisan.